Ok, so, June 11th is World Gin Day. How awesome is this? A sparkling gin & tonic is the perfect pick me up on a hot summer's afternoon and gin and tonic cake is next level delicious. 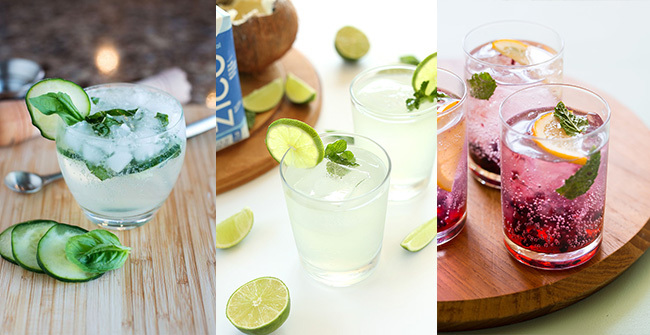 Here's 6 amazing recipes to make your Gin Day the best one ever. Remember, drink responsibly, kids! Let's kick this party off with what you all came here for. The drinks, am I right? 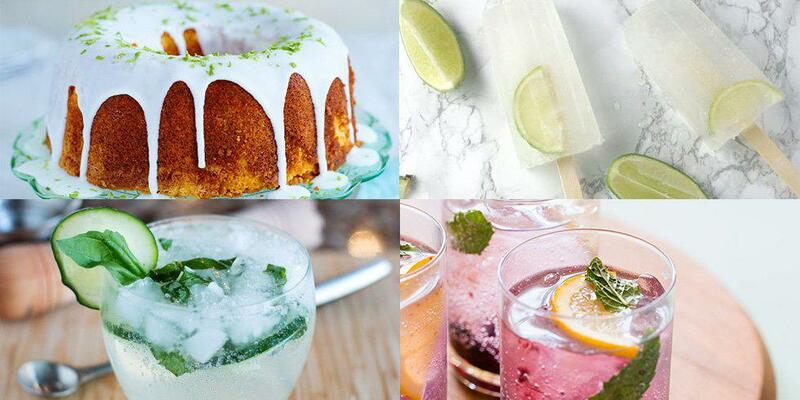 A classic gin & tonic for me involves a lot of fresh lime and a whole load of ice but I'm willing to switch up my favorites for a few of these amazing ideas. First up, the The GBC (gin, basil & cucumber to you and me!). This is a taste sensation, guys. You'll be so surprised how the savoury flavour jazzes up the gin, this is essentially the same as using mint in a mojito. Clever! Next up, if you're all about that healthy life and want to inject some extra electrolytes into your gin then you need a Coconut Water Gin & Tonic! All you do is add equal parts of gin, coconut water and tonic water over ice and then squeeze in a load of fresh lime juice. Summer called and it wants it's drink back, stat! Last but by no means least is the pink one. Berries and gin are a match made in Heaven so these Blackberry & Lemon Gin & Tonics are just perfect. You're going to need some food to soak up those cocktails and what's better than continuing the gin theme with some tasty treats? 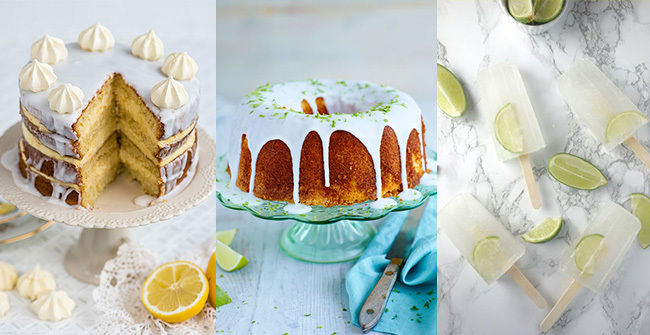 Cake + gin = the perfect summer party. First of all, this Gin, Passionfruit & Lemon Layer Cake is a serious showstopper. I mean, if you brought this to a party you would be the most popular guest. The gin in this cake is used to moisten the layers of the cake (excuse me whilst I stop drooling...) and it's also used in the super zesty glaze - delicious! Next up is this special Gin & Tonic Bundt Cake. It's a classic bundt cake but jazzed up with a whole load of gin. We're into it! Plus, this cake looks absolutely gorgeous. It would look great as the centre piece of a summer party table surrounded by wedges of lemon and lime. Finally, it's summer, so you'll want to cool off and what better way to do it than with an iced snack? These Gin & Tonic Ice Lollies are super easy to make and it gives you an excuse to use those popsicle makers you bought last summer and forgot about. Mix all your ingredients together and freeze for about 2 hours before pushing the popsicle sticks into them, this way they'll stay perfectly in the middle.